One of the nicest things about domestic travel in Japan is sampling the local food and, on top of that, the regional variations of ramen. It is especially enjoyable when you can visit the place that was one of the pioneers in establishing a city's ramen tradition. And so it was with Hachiya which began life in Japan's coldest city in 1948、albeit after starting as ice-cream shop. (Hence the 蜂 - as in hachimitsu, honey.) 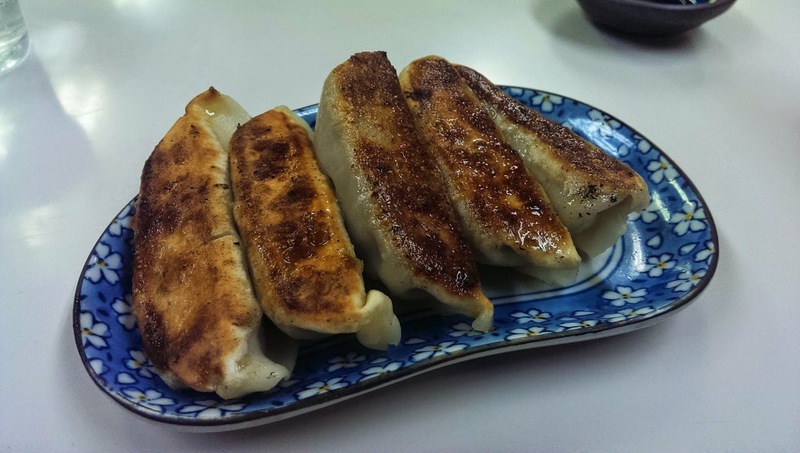 Why not try some gyoza too! 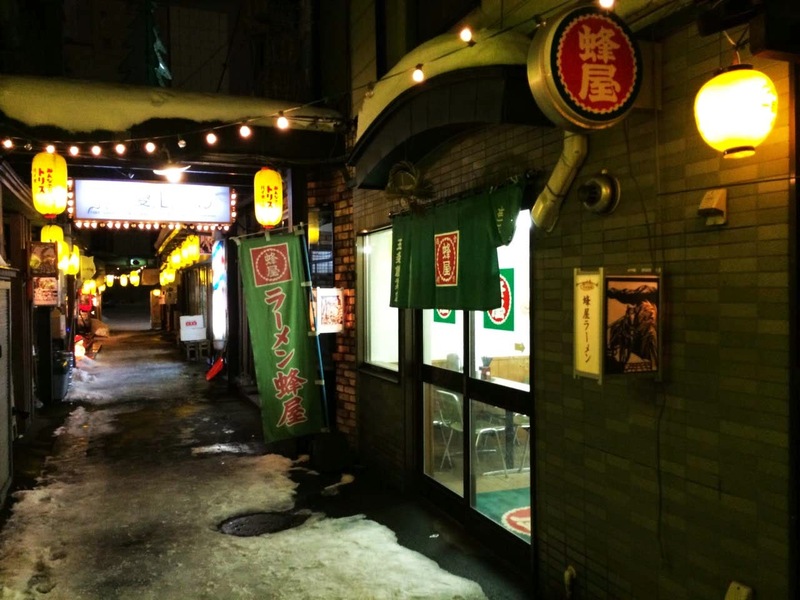 Hachiya is in a little alley just off one the main streets in Asahikawa, among a slew of other eateries and bars, not too far from Asahikawa station and easy to find - You've got to love the grid steet planning in Hokkaido! The wall is covered in autographs from celebrities that have popped in over the years. There was a customer inside the restaurant who had clearly recommended the place to their fellow diners who was taking great delight in their enjoyment. So this is what old ramen looks like! 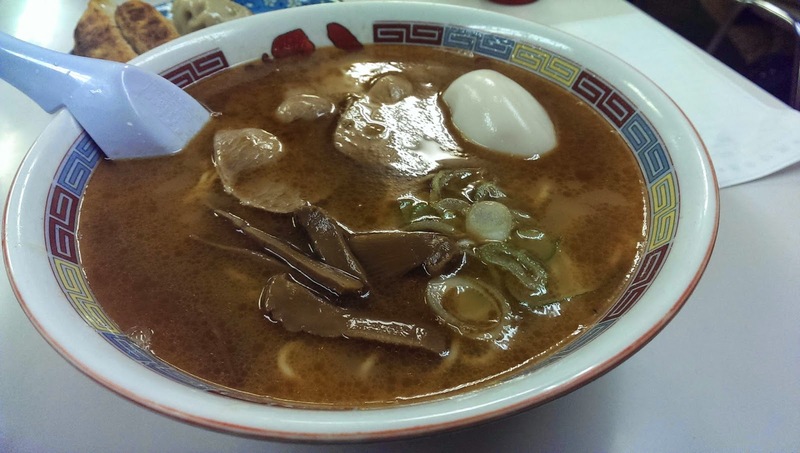 One of the key points of Asahikawa ramen is the layer of oil on top of the soup that traps the heat in and keeps your noodles warm in the minus temperatures of winter - Not such an issue in the air-conditioned modern world, but a tradition worth keeping. 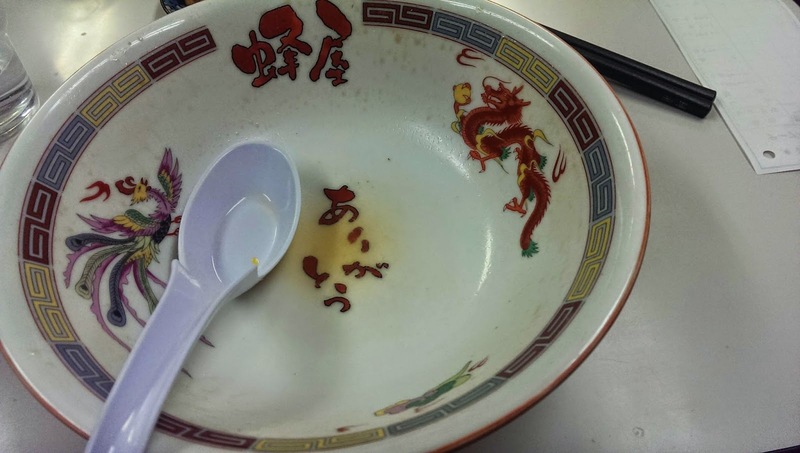 Interestingly this bowl started off really good, then went great then back to really good - I'm not sure what this means but I usually enjoy the first few slurps the most. Thank you!